This leaflet from the Workers Solidarity Movement was given out with Rebel Worker in Cork during March 2012. 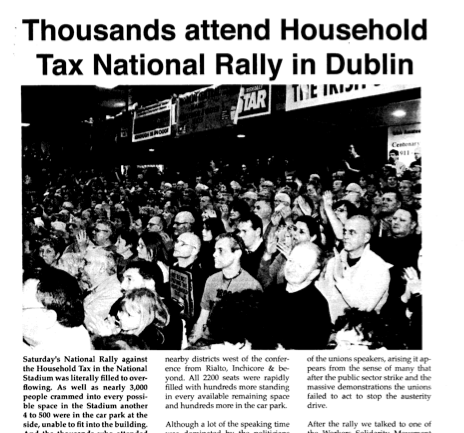 It combines a brief report of the rally against the household tax in the National Boxing Stadium and an interview with a WSM member active in the Bray campaign, who puts a case for democratic structures and membership participation in decision making. The speaker in the photo on the second page is James McBarron of the Cork WSM.